The killing of Shaikh Nimr Bakr al Nimr is not without many contexts. A powerful critic of autocratic rule in Bahrain as well as Saudi Arabia, he had been a thorn in the side of the Saudi regime since the beginning of the so-called ‘Arab spring.’ Jailed five times between 2003-2008, he was shot in the leg four times when picked up by Saudi police in 2012. Criticism of the regime is terrorism in Saudi Arabia and for this, in the name of ‘waging war on God,’ he was sentenced to death along with three other Shia among the 47 condemned men. The name of his nephew, Ali Muhammad al Nimr, 17, when arrested in 2012, and subsequently sentenced to death by crucifixion, did not appear on the list of the executed but the Shia victims did include Ali al Rubh, also a juvenile when he was arrested. The other executed men included Faris al Shuwaili, a member of Al Qaida, arrested in 2004 and connected with a series of terrorist attacks carried out in the kingdom. The killings were carried out by beheading or firing squad in 12 cities and were the greatest mass execution since 60 men were executed – once again across the kingdom – in 1980 for their alleged involvement in the storming and seizure of the Grand Mosque in Mecca in 1979, one of the most embarrassing episodes ever in the history of the Hijaz under Saudi rule. The Shia victims all came from the eastern province, which has most of Saudi Arabia’s oil as well as a large and possibly a majority Shia population. The city of Qatif, about 97 per cent Shia, broke out in riots after the execution and was immediately subjected to a crackdown by the Saudi army. Qatif has a long (about 3500 years) and often rebellious history. From the late the 9th century it was a center for the Qarmatians, a Shia group which arose in lower Iraq and shook the Abbasid state to its foundations, to the extent of carrying away the black stone (al hajjar al aswad) from Mecca and holding it for 17 years before returning it. The Qarmatians brought Syria under their control as well as much of the gulf and Yemen before their collapse in the 10th century but they have remained one of the most interesting movements to arise in the history of Islam. In the 20th century the presence of a substantial Shia population (perhaps 10 to 15 per cent of the total) was an affliction without an obvious cure for the Saudis. In the wake of the establishment of the Islamic republic of Iran, the Shia of eastern province rose up against the regime on the grounds that a monarchy was inconsistent with the precepts of Islam. Protests in Saudi Arabia and Shia-majority Bahrain highlighted the autocratic and anti-democratic rule of both dynasties. The Saudis lacked proof but chose to see Shia disturbances as the work of Iran. Discontent with the Saudi regime is not confined to the Shia, however. There is a half-hidden history of Sunni agitation if not active rebellion against Saudi rule going back many decades. The revolt of Juhaiman in 1979, when he led the band that seized the Grand Mosque, centered on the corruption of the ruling family. Juhaiman and his followers were Islamic zealots akin in many ways to the ikhwan the Saudis used in the 1920s to consolidate their power before crushing them. However, others in Saudi Arabia have sought to bring the kingdom into the modern democratic participatory world and have been imprisoned for their trouble or have fled into exile. Not all Saudis agree with the royal family and indeed, the family itself is divided. This is partly a generational thing, many of the young princes having been educated outside the kingdom (usually in the US) and unable to relate to the hide-bound world view of the gerontocracy. Many predictions have been made about the impending collapse of the Saudi regime. Said Aburish’s book The Rise, Corruption and Coming Fall of the House of Saud was published in 1994 but while the corruption and the house are still there the ‘coming fall’ is not although again it is being argued that it is closer than ever. The durability of the Saud dynasty can be partly explained through the massive oil wealth which enables the king to keep the princes (and to an extent the people) in line and to purchase the multiple billion dollars worth of weapons which keep powerful friends (notably the US and British governments) onside. The Saudis also purchase loyalty across the region, from the media and from governments. Its investments and financial aid, especially at critical points (i.e. 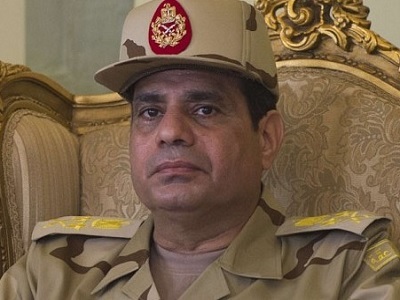 for Egypt following the overthrow of the Muslim Brotherhood government) are other tools of maintaining support. The kingdom is chronically insecure. Iran under the shah was feared almost as much as Iran under the Islamic government. During the Iraq-Iran war (1980-88), Saudi Arabia backed Saddam Hussein’s Iraq only because it feared and disliked the Islamic republic even more. During the George W. Bush presidency Israel and Saudi Arabia both pushed for a military attack ostensibly aimed just at destroying Iran’s nuclear reactors. The effects of a military strike on nuclear reactors would have been be absolutely fearful and stand as a measure of the callous irresponsibility of the Saudis and Israel that they could even contemplate it. In any case, the nuclear question was a red herring. The real issue was Iran’s continually rising regional prestige. Threats of military attack and the use of economic sanctions, with the EU tamely doing what the US wanted, did not work. Iran stood its ground and went on to shape what is called the ‘Shia crescent’ by its enemies and the ‘axis of resistance’, the strategic alliance of Iran, Syria and Hezbollah, by its friends. In 2000 Hezbollah drove Israel out of southern Lebanon and when it invaded in 2006 it drove it out again. These were tremendous achievements. In 2005 Rafiq Hariri, the former Lebanese president, was assassinated in what was clearly intended to be the means of driving the remaining Syrian forces (not many of them) out of Lebanon. It worked. Syria was blamed and only years later was cleared of any responsibility, at which point the special tribunal swung around and blamed Hezbollah, which subsequently produced compelling circumstantial evidence that the assassination was most likely the work of Israel. The withdrawal of Syrian troops was a propaganda victory for Israel, the US and its gulf allies but Syria and Hezbollah still held their ground. The inability of the Saudis to make meaningful headway in breaking the ‘Shia crescent’ led them to come up with the alternative of generating Sunni takfiri militancy against the Shia. Seymour Hersh is one of the writers who have written on how this was developed and how the US eventually went along with it. In 2011 Libya was smashed by US, British and French air power. When Russia and China used their veto power at the UN Security Council to block the launching of a second air war – on Syria – the US, Britain and France and their Middle East allies resorted to a war waged through armed gangs. Behind the façade of ‘peaceful’ protests beginning in the southern city of Dar’a these groups embarked on a trail of blood and destruction that has led Syria to where it is now. There is no need to reprise the lies and deceit that poured out of the media in support of the Syrian ‘rebels.’ What is important at this stage is that despite the billions of dollars poured into this sordid enterprise it has failed to achieve its main target. Saudi Arabia is losing on all fronts. It has again shown that it cannot even run the hajj successfully. The collapse of a crane in the Grand Mosque in Mecca in September, killing more than 100 people, was followed by the hajj stampede which took the lives of somewhere between 2000 and 5000 people, but these domestic disasters are a trifle compared to the multiple failures in Saudi Arabia’s regional policy. The Islamic State’s finances are being cut off at the roots, through the destruction of oil tankers carrying contraband oil from Iraq and Syria to Turkey. In Iraq, thanks to support from Iran and the participation of Shia groups fighting alongside the Iraqi army (Hashid al Sha’abi, Asa’ib al Haq, Kata’ib Hezbollah and the Badr brigade), the Islamic State was driven out of Baiji and its oil-fields in October and out of Ramadi just before the end of the year. In Syria the Syrian army is steadily ground in the south, in the north and around Damascus, where the Saudi-backed Zahran Allush and senior commanders in the so-called Army of Islam were recently killed in an air strike. Saudi Arabia’s recent attempt to arrest these developments by forming an alliance of all the Sunni takfiri groups collapsed just before the New Year when one of the biggest ones, Ahrar al Sham, pulled out. The other battlefield setback is the war in Yemen. No-one has ever defeated the Yemeni Shia before and Saudi Arabia is not likely to be the first. It has caused tremendous death and destruction with its air strikes but its achievements in the field basically have been limited to keeping the Houthis out of Aden. In keeping with its illustrious military traditions, its own ground forces have proven inconsequential. Others have pitched in in return for favors granted or anticipated: Kuwait and the UAE, Bahrain, Qatar, Egypt and Sudan, with a sprinkling of mercenaries from Latin America and various other parts of the world, adding up to a ground force of about 10,000 troops. Naturally Saudi Arabia has the support of the US and the UK, into whose arms industries the Saudis have countless billions of petrodollars over the years. By December 2015 the war in Yemen was estimated to have cost the kingdom $5.3 billion since it was launched in May. It is presently costing the Saudi government about $200 million a day, at a time oil revenue has dropped and the kingdom faces a 2016 budgetary shortfall of about $87 billion. Austerity measures have been introduced. Subsidies have been reduced, public servants have been told to reduce spending and $1.2 billion of the kingdom’s $9.2 billion stock holdings in Europe has been sold. It might be true that with an estimated $707 billion in foreign assets the Saudis can keep the war going in Yemen a very long time, but at a time of declining revenue, falling oil prices and daily demands on its resources from the sectarian war it is fighting across the region even this wealth will soon start to run down. 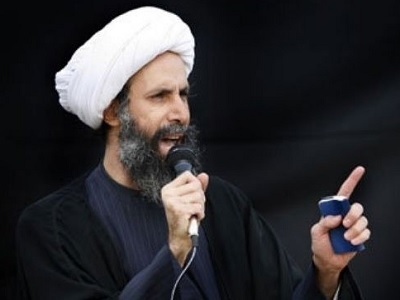 The western media commented that the killing of Shaikh Nimr threatened to raise sectarian tensions across the region as if this was an accidental byproduct of the execution when almost certainly it was deliberately intended. The Saudi government set out to get rid of a troublesome cleric and incite Iran at the same time and it succeeded. Infuriated mobs set fire to the Saudi embassy in Tehran and the consulate in Mashhad. President Rouhani condemned these attacks, whereas Saudi Arabia seized the opportunity to sever diplomatic relations with Iran. The anti-Shia hatred spewing out of Saudi Arabia in recent years has been disgusting and further evidence of who is the prime agent of fitna across the region. By deliberately provoking Iran Saudi Arabia is reasserting itself as the guardian of Sunni orthodoxy. There is little or no respect for the government of Saudi Arabia and its royal family in the Muslim world but sectarianism has muddled many minds and pushed to make a choice between Saudi Arabia and Iran, the great majority of Sunnis will come in behind the Saudis. So will the US. Having persuaded Iran to sign a nuclear agreement which very much damages Iranian national sovereignty, the Americans have already begun welching on the deal by raising the possibility of new sanctions. It has criticized the execution of Sheikh Nimr but in any new standoff between the Saudis and Iran it also will throw its support behind the Saudi government. 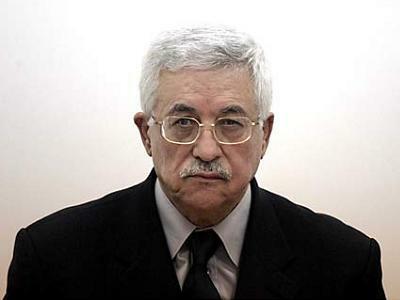 Israel – Saudi Arabia’s half covert ally – will naturally welcome the re-ignition of confrontation with the government of the Islamic republic. Saudi Arabia is in the throes of an acute multifaceted existential crisis. It is losing all the wars it has instigated and is now seeking a way out by inflaming relations with Iran. This will temporarily divert attention from problems at home and abroad, at the cost of deepening sectarianism and gravely worsening relations with Iran, with consequences yet to be seen. Come on Jeremy – you can tell even better lies and distortions than yiu have in this bit of doggerel. The Saudi courts are totally independent and no authority can influence them except Islamic law, and this has been confirmed by the applicable laws of the Kingdom and has been stressed by the rulers of the country. The trials of the accused individual are characterized by justice and fairness. Your post is totally secretarian, and pro-Iran and it does not do justice. The country of Saudi Arabia is run as per Islamic laws and Praise be to God, the number of crimes are very less as compared to other countries in the world. Remember, with Justice comes Peace, and also comes Envious eyes who could not provide justice in their system. Saudi Arabia is a theocratic tribal monarchy. It exists due to its dealings with the U.S. in the creation of the global fiat currency, the U.S. petrodollar. It uses its religion to bolster its own ideology and to serve as puppets of the U.S. It’s current debacle with oil pricing appears to be an attempt to capture and retain some of the influence of the petrodollar vis a vis Russia and China – while at the same time trying to deal with Russia and China in case their U.S. patron loses its global financial influence.